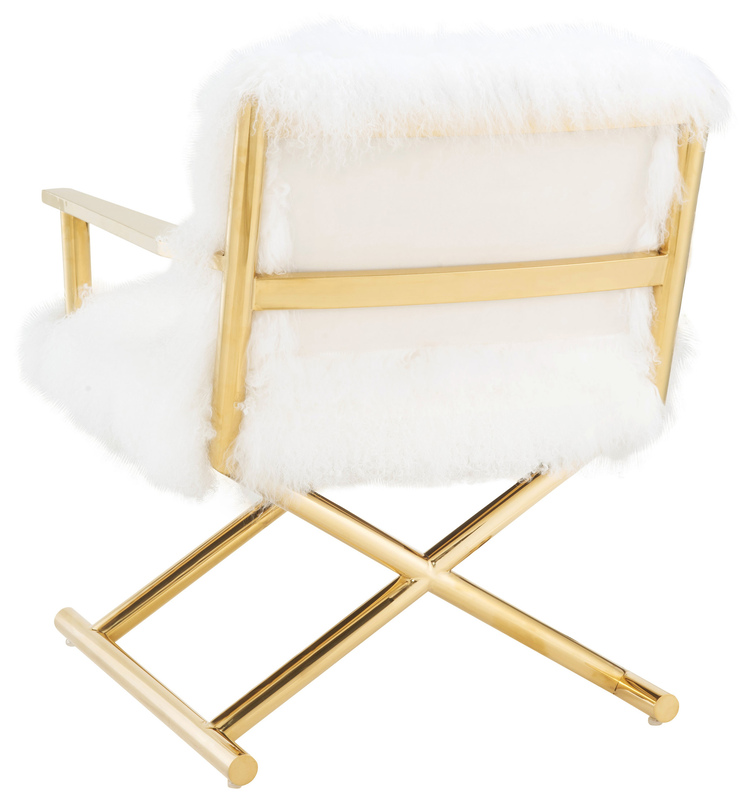 The fabulously fluffy Snow chair looks glam in gold and is a perfectly poised director chair. 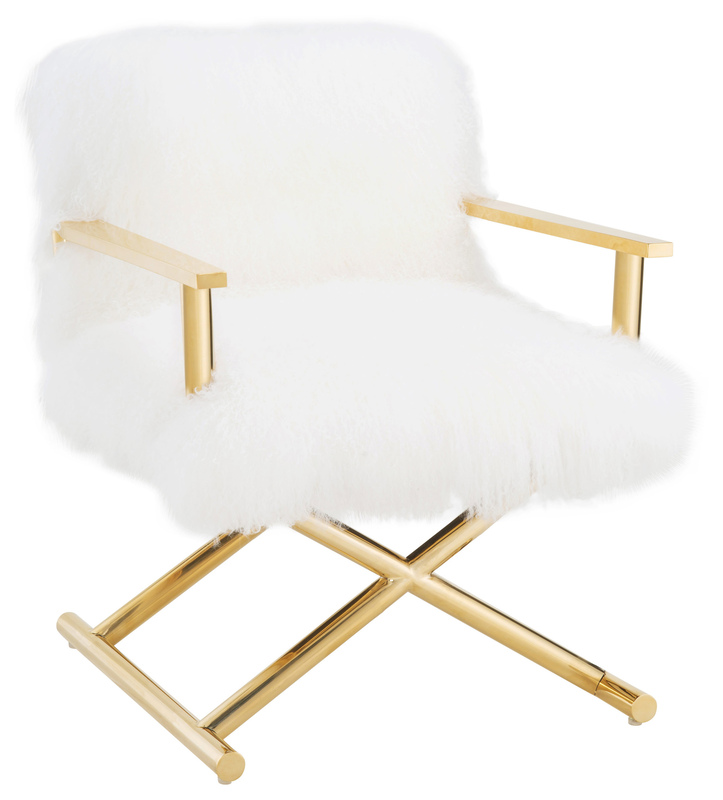 We love how Snow's genuine sheepskin fur adds texture to a classic frame. 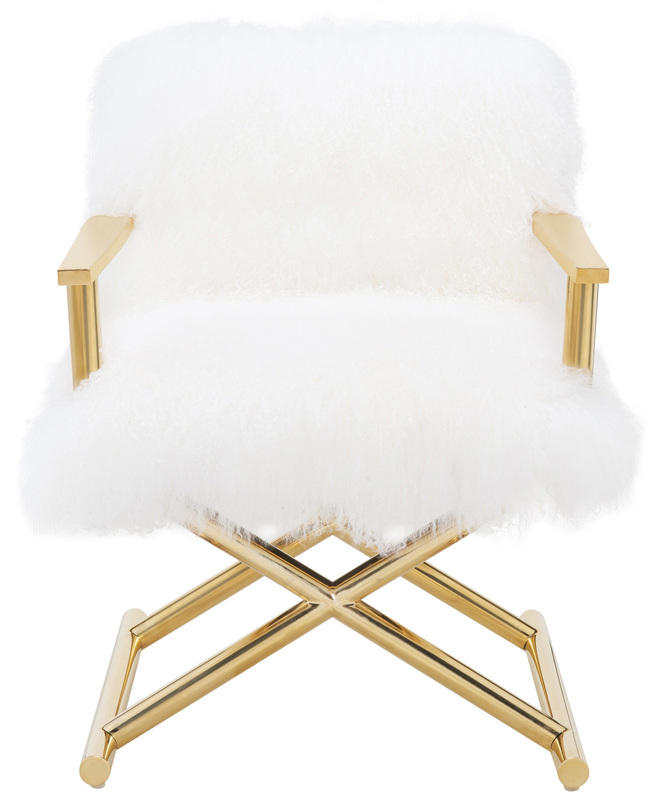 Place Snow at a desk, next to your bed or in the hall as that statement piece you've always been searching for.